Can the pot industry one day rival skiing? Walter Dandy carves through a turn with the help of his CADS ski system, attached to the back of his legs. 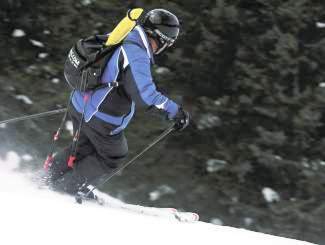 The CADS system can help older skiers stay on the mountain as they age. EAGLE COUNTY — Skiing is king in the Vail Valley — always has been. But will it always be so? Winter sports will probably always dominate the Vail Valley’s economy. Despite years of effort, the town of Vail collects about 70 percent of its annual sales taxes during the ski season. That could change in the future, and perhaps the near future. Vail Resorts has made a big investment in summer recreation with its Epic Discovery program, which aims to make the mountains as much fun in the summer as in the winter. Attractions include mountain coasters, climbing walls, ziplines and more, all with the intent of drawing summer visitors to winter resorts. That investment has communities thinking ahead, too. Town of Vail officials are carefully eyeing the success of Epic Discovery and wondering just how much longer the town’s parking structures will be free in the summer months. Off the mountain, there’s a lot of work going on to create a valleywide system of mountain bike trails, in hopes of turning the Vail Valley into a mountain-biking haven. But the next big thing to generate big bucks in the valley just might be marijuana. Colorado’s ski industry pours $4.8 billion annually into Colorado’s economy. That’s 46,000 jobs that generate $1.9 billion a year, according to a study by RRC Associates, a market research firm based in Boulder. In addition, big game hunting pumps $403.7 million into Colorado’s economy each year, according to a report from BBC Consulting. Overall, hunting, fishing and watchable wildlife tourism has a $3 billion economic impact. Colorado’s legal reefer could eclipse both, and soon, say some cannabis capitalists. 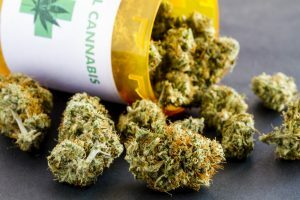 Cannabis venture capitalists Arcview Investor Network calls cannabis the “next great American industry.” According to Arcview, the cannabis industry grew 74 percent in 2014, to $2.7 billion. The firm projects 10-fold growth by 2021, and a $10 billion nationwide market by 2018. 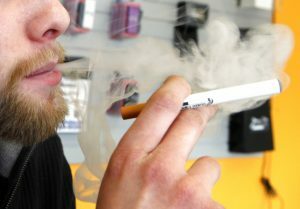 But other industry advocates are still trying to figure out pot’s impact beyond direct revenue. The comparison can be problematic. Skiing has been around since the 1940s, and the cannabis industry is only a couple years old. Marijuana retail sales became legal in Colorado on Jan. 1, 2014. However, we know a few things. Colorado’s cannabis industry is benefiting from a “first mover” advantage. Entrepreneurs are locating here, opening businesses and hiring people, Taylor West, of the National Cannabis Industry Association, said. That advantage may not last. California voters will be asked about marijuana legalization in November of 2016. 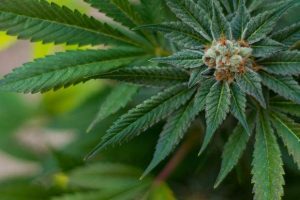 Connecticut is eyeing legalization, as are other states. “That may shift things a little bit,” West said. Colorado’s marijuana industry has quickly helped drive huge changes in the industrial real estate market, especially in the Denver area, West said. Revenue and sales are still going up, West said, but the growth is easing as the industry matures. “The greatest room for growth is outside the Denver metro area, where the rest of the state was a little slower to adopt it,” West said. The Colorado Tourism Office commissioned Strategic Marketing and Research Insights for solid information about marijuana and tourism. The company interviewed 3,254 people from major markets outside Colorado, asking them 33 questions each. 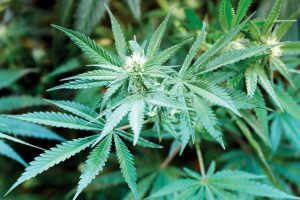 Almost half of those surveyed said Colorado’s marijuana laws influenced their vacation decisions, and 8 percent of those surveyed said they visited a marijuana retailer while they were here. But could cannabis surpass skiing? “That’s quite a bold statement,” said J.J. Walker, one of the founders of My 420 Tours, which began with a mountaintop epiphany Walker had. “People are going to come here, and they want a cannabis experience beyond just smoking it,” he said. The company’s first tour sold out in two weeks. Another Walker-founded event, World Cannabis Week, attracted an estimated 285,000 people to dozens of events. My 420 books tours to the High Country and ski resorts. It’s expanding into Winter Park with a corporate hotel chain and works with some Vail Valley hotels. But skiing still rules, and the sport isn’t through revolutionizing itself. Some of that revolution has happened in Vail. The plastic ski boot business, as well as slope-grooming started in Vail. Morrie Shepard had been a ski instructor for 18 years between Vail and Aspen when he went to work for Bob Lange in 1965. Lange showed up back in Aspen with what he considered good news. “I know what I’m going to do to get into the ski business. I’m going to make plastic ski boots,” he proclaimed. Lange eventually came up with two blue and white boots with nylon laces, and gave them to Shepard, who pulled them on. They were miserable, but Lange was a friend so Shepard tried them. Shepard skied in those stiff boots for two weeks because his good friend Bob invented them. Finally Shepard decided he’d give his feet a break, so he strapped on his old leather boots and headed up the Vail gondola. The leather boots were like noodles and he could barely stand up. He found a beginner class and snowplowed down Gitalong Road to the bottom of the mountain. He threw his leather boots into the trash and called Bob to talk about the wonders and glories of his plastic boots. That was 1962-63. Lange kept making better prototypes and Shepard — now in Vail — put them on his ski instructors. They were so comfortable that almost anyone could try one on — but just one, because Shepard was afraid if he let them try two, they’d ski off and he’d never see them again. One of the reasons ski companies, including Vail Resorts, are trying to attract summer business is that the number of skiers and snow sports enthusiasts tends to be flat from year to year, which leaves industry advocates constantly wondering how to attract the next generation. We wish them well, but what if you could also come up with a gadget that could keep older skiers on the slopes and in the sport? Vail Valley resident Walter Dandy might have done just that when he invented CADS, a device that eases stress on a skier or rider’s knees. In three hours skiing Vail Mountain with Dandy and CADS a couple of seasons ago, more than a dozen and a half people stopped Dandy to thank him for inventing CADS, telling him they would not be on the mountain without him and his invention. Sitting in Mid Vail, a CADS client wandered by Dandy’s table to thank him for inventing the device, which has kept him and his wife skiing moguls for years longer than they would have, he said. But CADS isn’t just for the AARP set. Because CADS help people ski better when they’re young and for years longer than they might without them, CADS is also about economics, Dandy says. Dandy skis all the time and understands that skiing can be tough on knees. “We present the knee with the greatest challenge of any sport,” Dandy said. Dr. Richard Steadman was curious, so he commissioned a study to find out if CADS really help knees. It does, he learned. CADS — an acronym for stuff that doesn’t really matter — works like a car’s front suspension, which lifts the car’s body, presses the tires against the road and stabilizes the steering. CADS is a cable, a pulley and a spring. It lifts weight from your knees and thighs, while pushing down on your skis. Also, if you’re interested in a little air, CADS throws you like you’ve strapped yourself into a slingshot, which of course you have. “It greatly enhances what God gave you,” Dandy said. So we tried it. It’s not a bit uncomfortable, and it’s easy. The first time we geared up at the top of Chair 4 in Vail, it took 12 seconds per side to put on. You’ll wait longer for snowboarders to crank down their bindings. It makes your skis far more stable and your carving more precise. So. CADS is here, summer is coming and pot is growing. Can skiing remain king in these mountains?